There was a time when Nick and Marcus Foligno would tee off, literally, on one another. 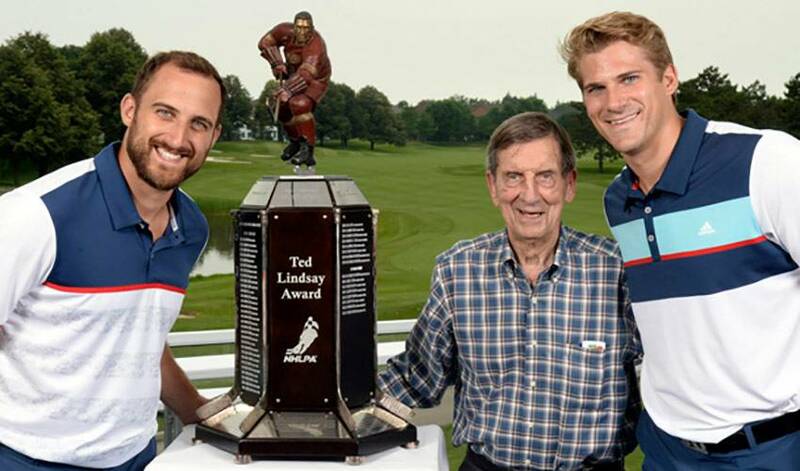 On a Wednesday afternoon at Glen Abbey Golf Course in Oakville, ON, NHL-playing brothers Nick, 29, and Marcus, 25, brought their now friendly sibling rivalry to the annual NHLPA Golf Classic. Less than half an hour before the start of the 25th edition of the annual summer gathering that brings out a mix of current and former NHL players, the Folignos are getting ready to hit the driving range. It’s a good bet the sons of former NHL forward Mike Foligno would have been keeping tabs on one other throughout the afternoon, even if they weren't participating in the same foursome. “It’s funny,” started Nick, captain of the Columbus Blue Jackets. “I think one of the biggest reasons Marcus and I are where we are is because of how competitive we were with one another growing up. That’s just how Marcus, who played the first 347 games of his NHL career with Buffalo before a late June trade to Minnesota, recalled it. Dust-ups are a thing of the past. Competition between the two is not. On the greens, on the waters, in the gym or on the ice, the brothers both admit to trying to gain the upper hand whenever they’re together. While it would be easy to assume the brothers talk a lot of hockey during the off-season, that’s not the case. They do discuss the game, but it’s not a big topic of conversation between the pair. It’s also enjoyable – and never taken for granted by either – to face-off against one another on hockey’s biggest stage. “We realize how fortunate we are to play in this league and we know how lucky we are to be able to do that together,” said Nick. “I’m proud of how far he’s come in his career and I know he feels the same way about me. Just maybe not on the golf course or a lake. Who gets first star honours on the links and the waters? Marcus chimed in seconds later, offering his take on which Foligno brother is more talented on the golf course. As for who holds the upper hand on the ice next time, the answer will come on October 14 when the Blue Jackets visit the Wild.